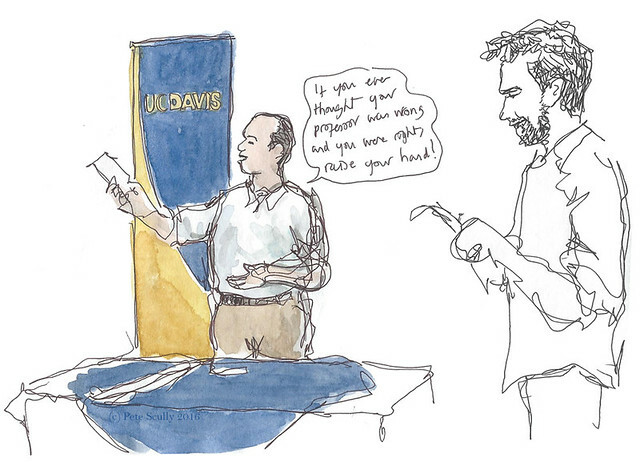 Here in the world of academia, this week is graduation week. Thousands of students undergrad and graduate receive their hard-earned degrees this week and step out into the world. 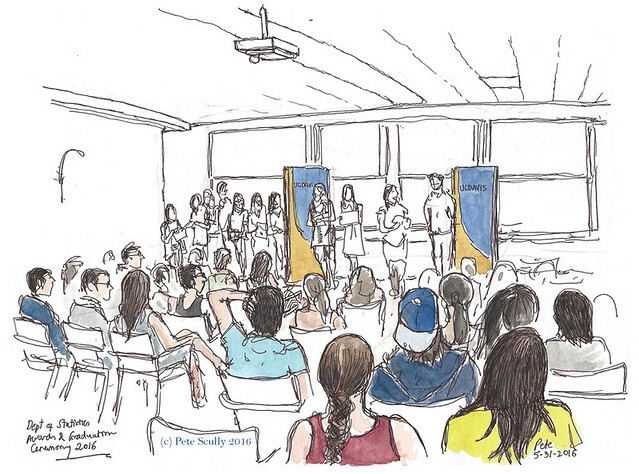 In our department at UC Davis we held a special awards and graduation ceremony a week before the official commencement, honoring our young statisticians and biostatisticians. I did a couple of sketches at the event, but mostly got award certificates ready and took photos and applauded enthusiastically. Great job, everyone!